Your home is the stage where memories come to life. It shares your laughs with you when you are happy, comforts you when you are sad, and welcomes you back when you and your family return. A home is not defined by it’s size but the love that fills it. I don’t sell “houses” to my clients, I help my client’s find their perfect HOME! 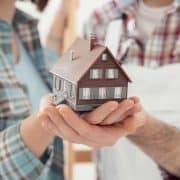 I work with young couples looking to buy their first home, the family that has outgrown their current house, and the empty-nesters looking for something more manageable now that the kids are gone. There is nothing more rewarding to me than finding you a place to call home. Regardless of price or size, all my clients receive my best-in-class services in finding your perfect home. Please feel free to use the form below to tell me about your perfect home. I will do all the homework and find you exactly what you are looking for!